Anyone you talk to even those who don’t care about motorcycles will probably know what the Ducati brand means. It represents a world class Italian sports motorcycle manufacturer and MotoGP competitor. The Ducati brand has been around since the 1950’s and is only less compared to the other Italian motorcycle brand, the Vespa in terms of brand recognition. The Ducati Scrambler Sixty2 is the cheapest modern Ducati you can buy, replacing the Ducati Monster as the brand’s entry level model. 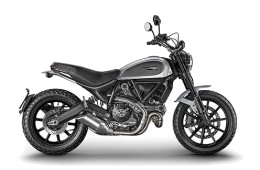 The Ducati Scrambler Sixty2 is priced starting from $11,990 in Australia and goes up, dependent on accessories and other spec or colour schemes e.g. ICON, Cafe Racer, Classic, Full Throttle and so forth. The entry price alone is one of the reasons the Scrambler is on my list for affordable motorcycles. But is the Ducati Scrambler Sixty2 a special motorcycle? The Scrambler class is of course based on the road motorcycle class that has been given raised ride height and more trail style off dual purpose tyres. In fact it is probably the reverse of thee Supermotard class. Scrambler = road bike with raise ride height and the Supermotard = lowered off road bike with road tyres. Defining what makes the Scrambler Sixty2 a special motorcycle is clear when you seen one. High build quality, USD front forks, blacked out features with well matched shiny highlights, a gorgeous rear swing arm with genuine art inspired pipe work. Since it shares the frame with the full power 800cc and 1100cc engines means it looks bigger than it really is. The Sixty2 is also LAMS approved so it can be purchased and ridden by anyone. 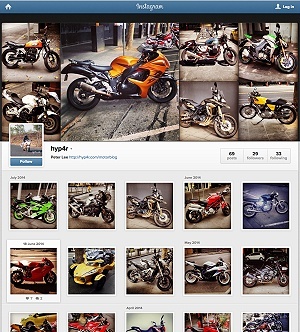 One final word on the design, it looks like the Yamaha MT series of similar bikes which where first to the market. With the L shaped Twin, Italian styling, Ducati branding and an affordable price tag, clearly a special motorcycle what more needs to be said? It even looks like the original 250cc Scrambler if you look hard enough. That said the Scrambler is reportedly built up in Thailand but the parts are made in Italy so there’s no reason to not consider it based on the country of manufacture.